It was a rainy day making it really difficult for us to navigate around the causeway bay area. 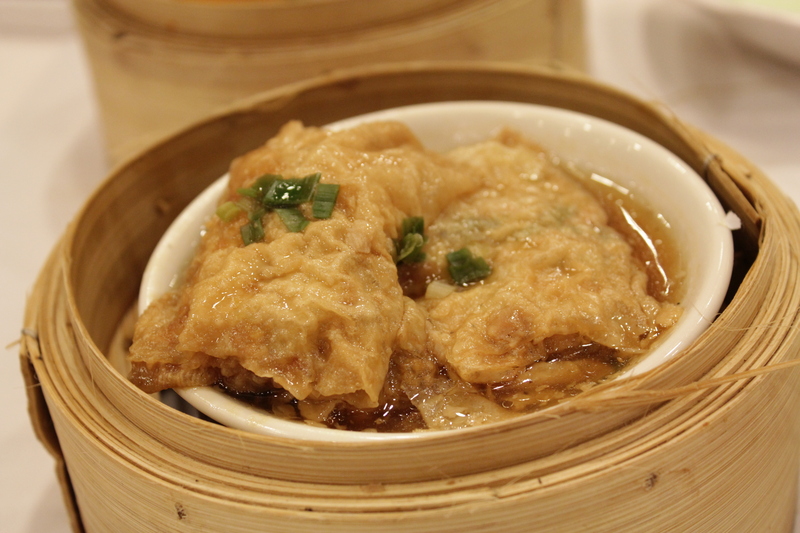 I was craving for a decent dim sum after the horrible one we had at ocean park. After walking in circles around the area, dad decided to be smart and asked for a recommendation from a salesman. I thought we would just be brushed off by him but surprisingly the guy enthusiastically told us about a nearby dim sum place in Windsor House Building. There were two restaurants there that served dim sum but we quickly decided on cheers restaurant after we saw the huge crowd heading there. The century egg congee was good according to mum and dad. A sticky and smooth consistency, perfect with chunks of century eggs. These little pancakes came as a surprise, in fact till now I still don’t know what this order was called. 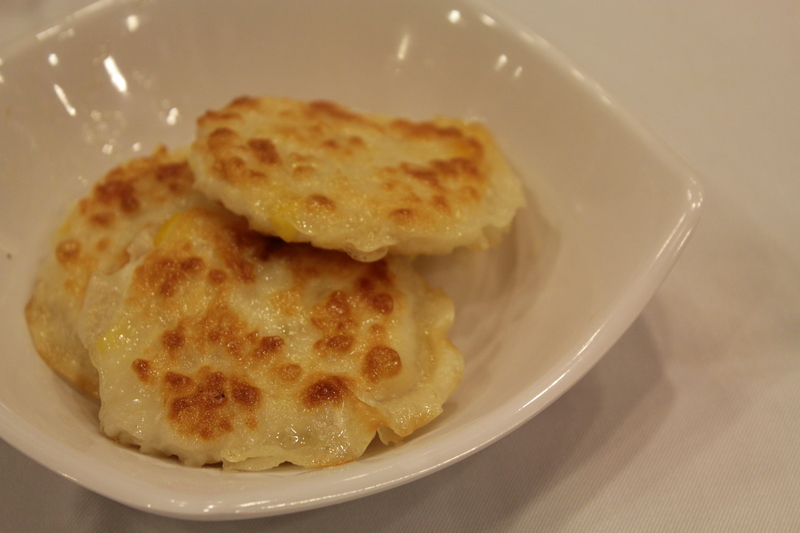 They were essentially fish paste studded with corn and pan fried till crispy. Although they came across as a little too oily to my liking, I liked the corn embedded inside which afforded a tinge of sweetness to the otherwise ordinary fish paste. The pan-fried carrot cake came in chunks instead of the usual slabs. This made it much easier to share and each piece had a nice crunchy outer shell. 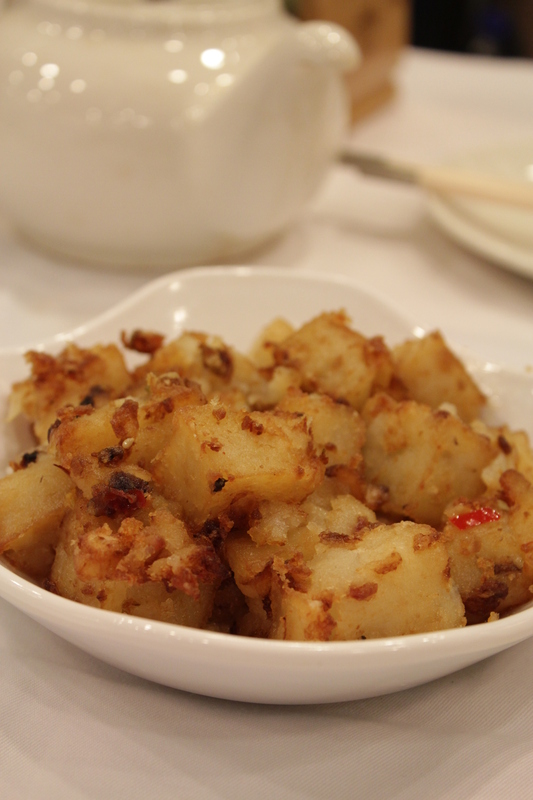 The fishcake wrapped in beancurd skin was also another crowd pleaser, nothing to fault here. The Xiao Long Baos had a disappointingly hard skin and the delicious broth spilling out. We figured that our order got lost in the crowd resulting in this mess. The manager graciously replaced it for us and thankfully, the second batch was piping hot bursting with the delicious broth. 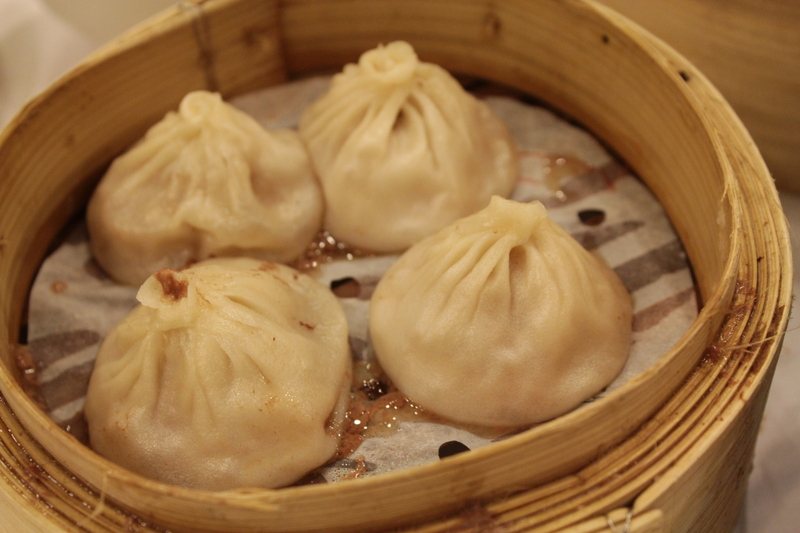 However, I still found the skin too thick for me- i’m just spoilt by din tai fung! Mum insisted that we order another carb dish because I did not touch the porridge and I’m glad we did! 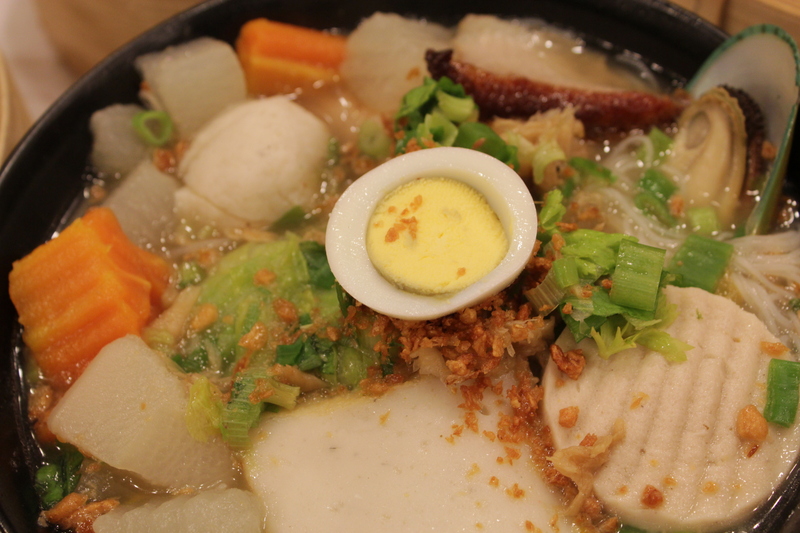 Everyone around us were ordering this beehoon soup so we decided to give it a try. The yam buns were insanely good as well! The bun itself was soft and fluffy with buttery crumbs on top and a smooth yam filling inside. 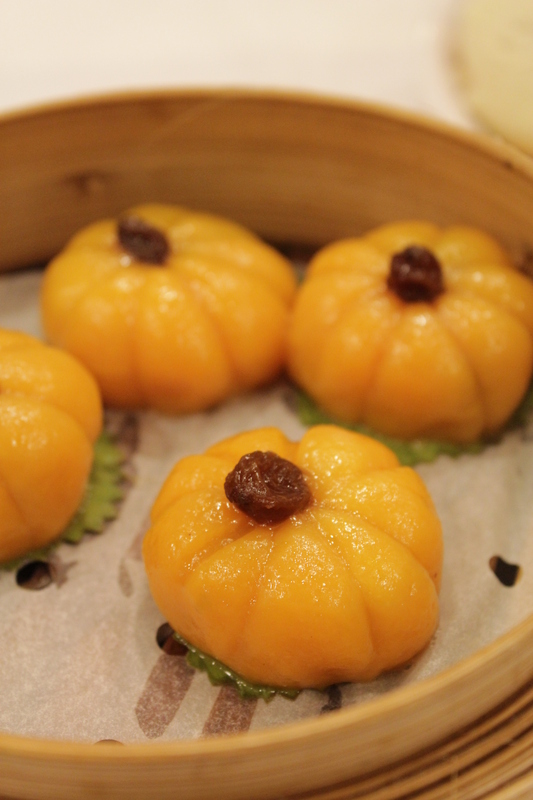 These exquisite pumpkin shaped morsels were in actual fact more pretty to look at than to be eaten. They reminded me of ang ku kueh with a red bean filling. I would have liked the red bean filling within to be more and the raisin on top was just odd. When I asked my dad how much he paid, I was really shocked because everything amounted to only about 27 sing dollars! Admittedly, the food was not served in the right succession ( the sweet and savoury items came all together) but they were all decent and some, really good. 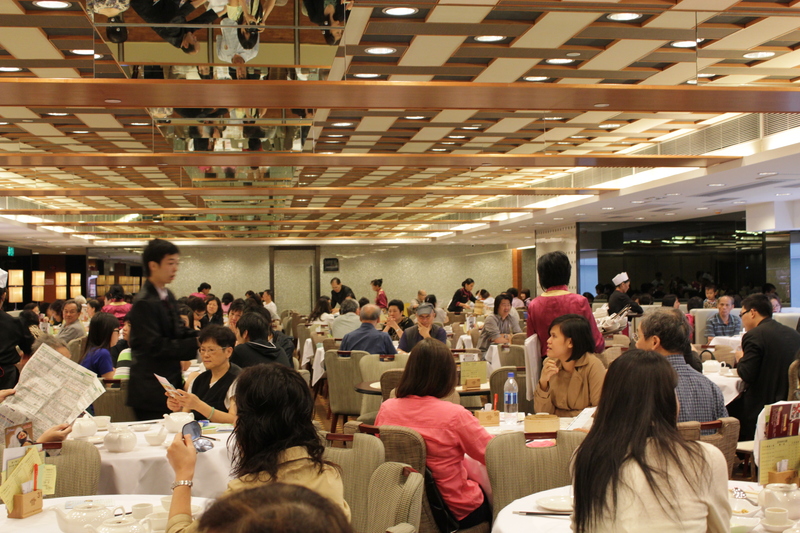 Glancing at the name card, we also realized that they are a subsidary of Maxim’s, a famous Hong Kong restaurant brand.